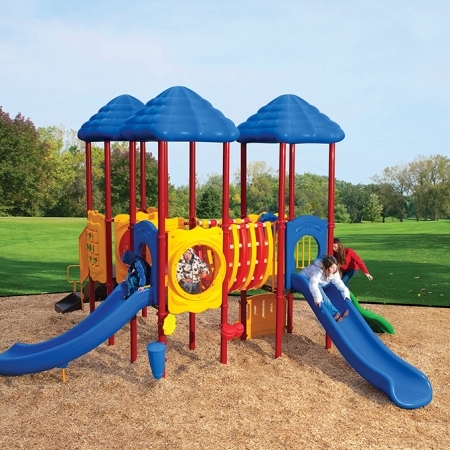 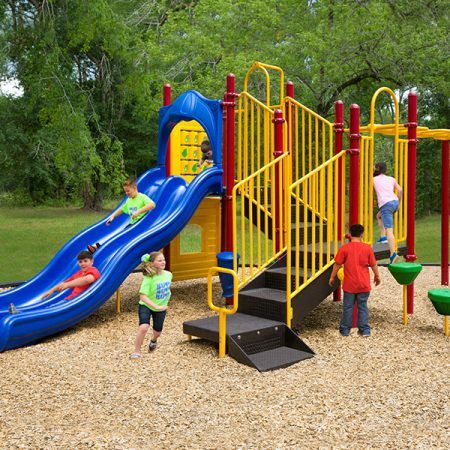 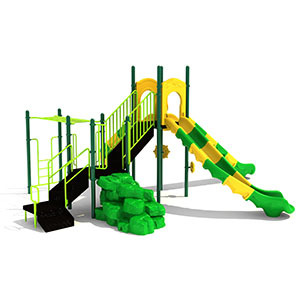 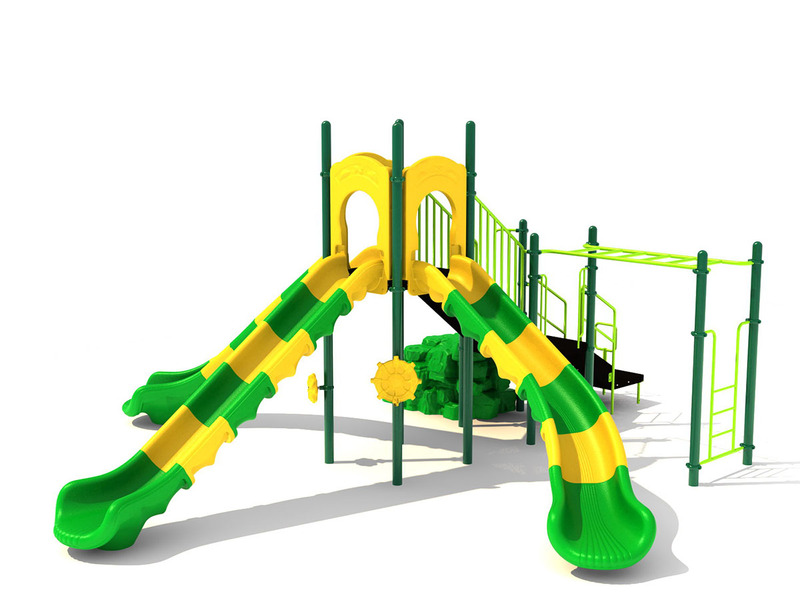 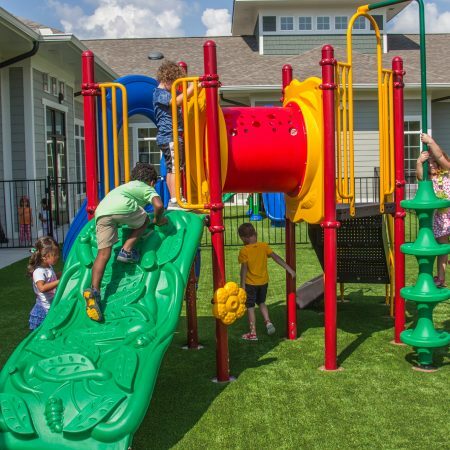 The first thing you will notice about the Cambridge play structure is the brightly colored trio of slides! 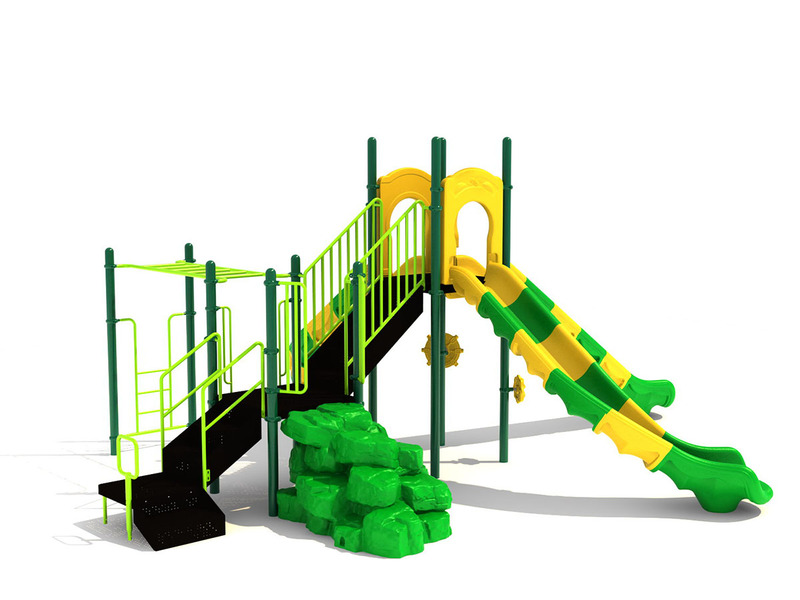 The alternating green and yellow is fun and eye catching. 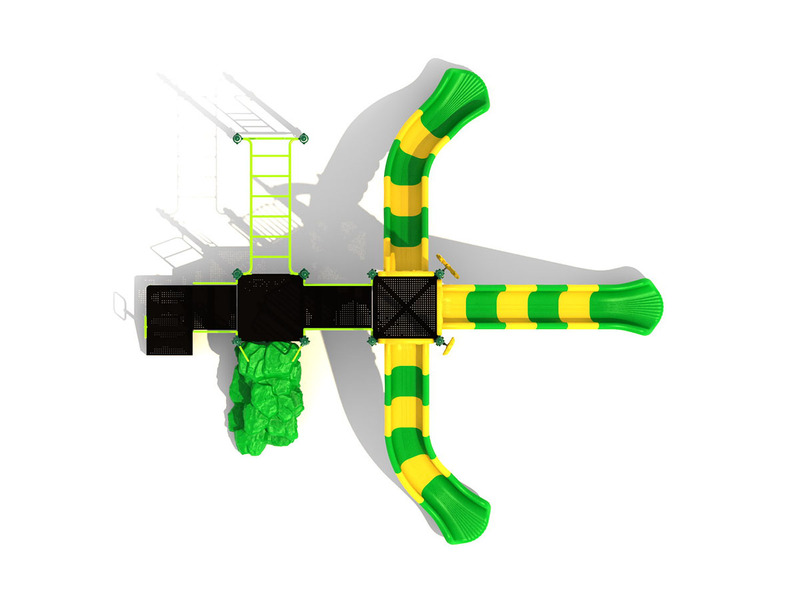 The trio of slides consists of a straight slide, right turn slide, and left turn slide. 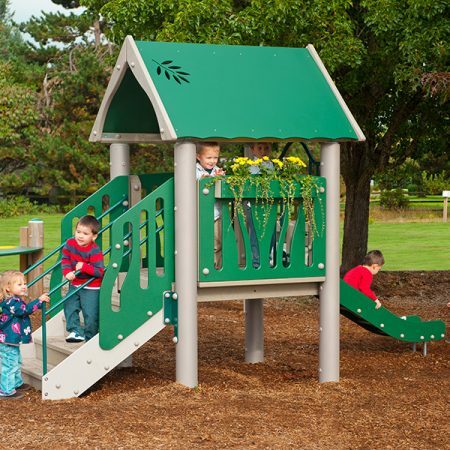 Children can reach the decks of the structure a few different ways.